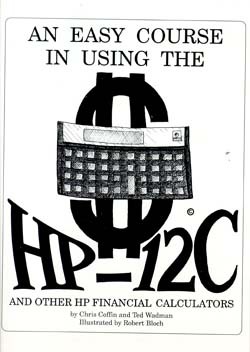 For a clear, straightforward explanation of your HP 12C, this is the book--a gold mine of instruction and practice with real-world problems. Written in Grapevine's friendly style, it's your complete guide to real problem-solving on an industry-leading HP calculator. Never again will you struggle with hazy concepts of interest, mortgages, cash-flows or investments! 6.5" x 9", 256 pp. You get all this--with clear diagrams, easy reading and useful examples--in the best self-study course you'll ever take. So let Grapevine transform your HP 12C from a complex machine into a friendly and powerful tool!